This Queen Anne style home was built in 1910, and sits on a corner lot. Features include pocket doors, two staircases, nine stained glass windows, a bay window, an open staircase, fireplace and a turret. Some main level features are 11' ceilings, laundry room with coat closet, a Â¾ bath, and wood floors in three rooms. There are 4 bedrooms on the upper level, a full bath and bonus room. It also has a one stall, detached garage. 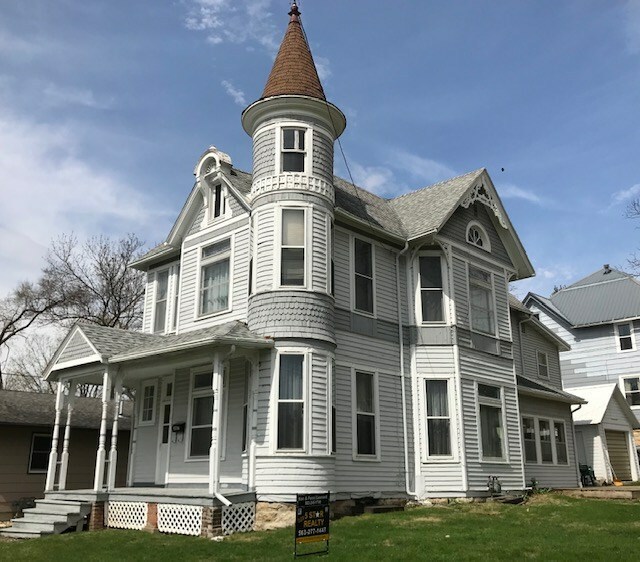 This Victorian home is priced to sell!